Black swans are herbivorous, but this one looked at me as if it would like to make an exception of its diet. I was unsure, if it begged for food or protected its partner. In the end it was a difficult task to shoot some photos without being bitten or falling into the pond. Swans are attractive birds, especially the black swans, but they can be very nasty. 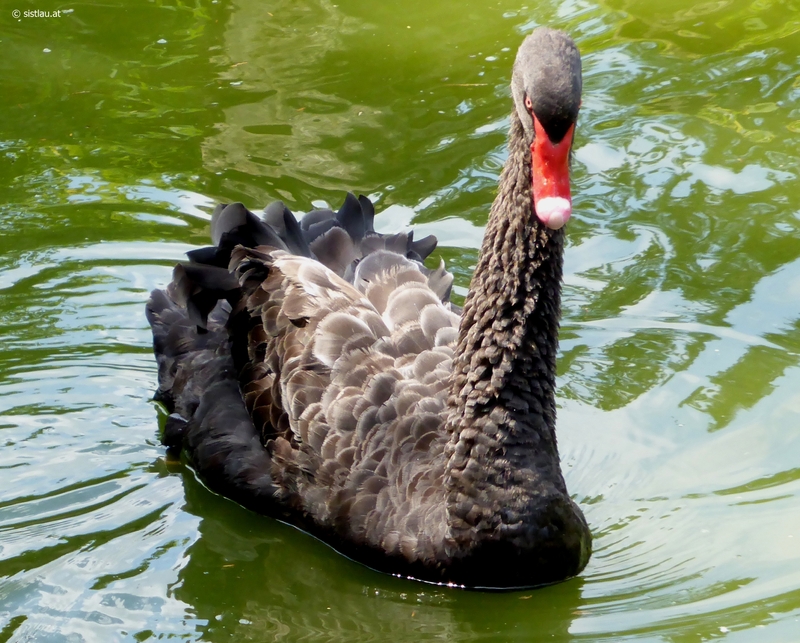 Black swans don’t belong here, they are an introduced species. 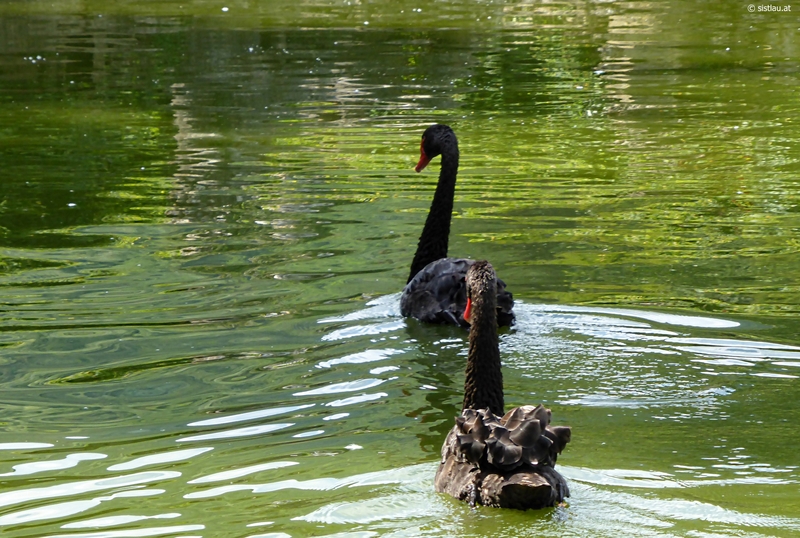 The black swan is common in some parts of Australia. It became popular as an ornamental waterbird. 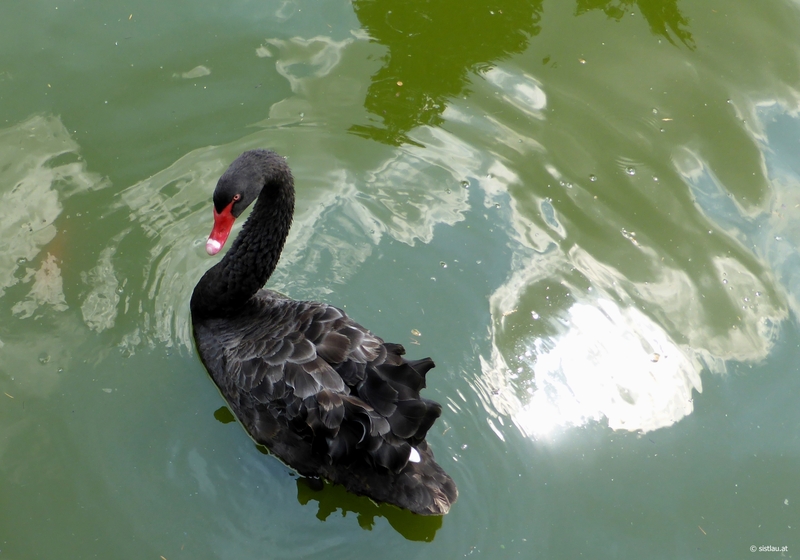 Indeed this black swan was a very ornamental addition to the beautiful fountains of Valsanzibio. This park has a history of more than 350 years and is situated in the Colli Euganei (Italy).